Following the car-bomb terrorist attack in İstanbul claiming the 44 lives, the Ministry of Interior Affairs announced on Tuesday that a total of 568 people were detained for alleged ‘terrorist propaganda and involvement in activities on behalf of the terrorist organization,” on Dec. 12-13. 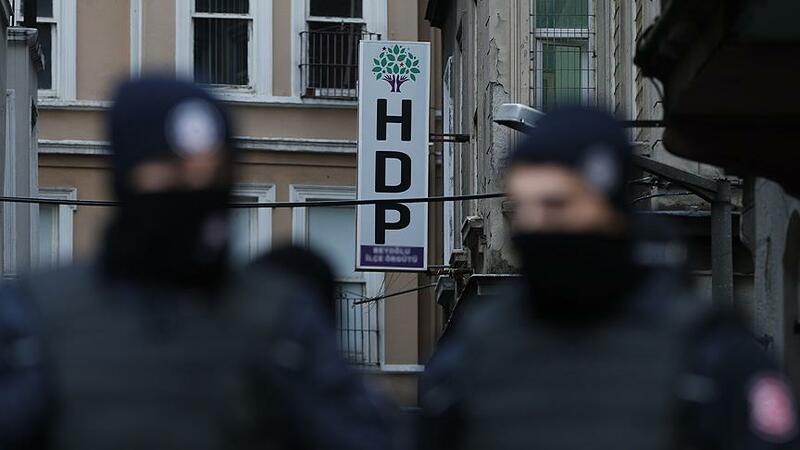 In counter-terrorism operations across 28 provinces of Turkey, the detainees mostly included people from the pro-Kurdish Peoples’ Democracy Party (HDP). Some of the detainees are accused of doing terrorist propaganda of the Kurdistan Workers’ Party (PKK) over social media. Meanwhile, a Diyarbakır court issued a verdict to bring 8 HDP deputy, one of which is already arrested, to testimony in the Kurdistan Communities Union (KCK) trial. The car-bomb attack in the heart of İstanbul on Saturday evening killed 44 people while wounding over a hundred. The Kurdistan Freedom Hawks (TAK), an offshoot of the terrorist Kurdistan Workers’ Party (PKK) claimed the responsibility of the attack on Sunday.